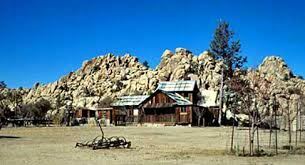 One of the many wonders of Joshua Tree National Park is the historic Keys Ranch. It is the prime example of early settlement in the Joshua Tree National Park area. 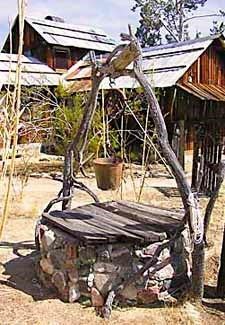 Bill Keys was the area's leading character, and his ranch is a symbol of the resourcefulness of early settlers. Early California history and colorful life stories are revealed during this Ranger guided tour. The site also has archaeological features that tells us about the lives of the early native Americans who inhabited this area. The ranch house, school house, store, and workshop still stand; the orchard has been replanted; and the grounds are full of the cars, trucks, mining equipment, and spare parts that are a part of the Desert Queen Ranch story. Carpooling is encouraged and may be available if offered by driver. You are responsible for arranging you own transportation or ride share. Arrive a few minutes early for briefing and carpooling. Distance to trailhead is 50 miles. Park entrance fee or Golden Age Passport applicable. Bring water (1 to 2 liters recommended), sun protection and layered clothing are recommended. Registration note: The initial sign up is for members only. Registration will be open to nonmembers and guest in two weeks. Sign up early while there is still space available. No refunds since we make advance payment to the NPS.